Oxford Reference Library is an online collection of in-depth, specialist content from Oxford's award-winning Encyclopedias and Companions, as well as a critical selection of partner publishers’ scholarly works. 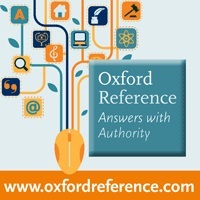 These major reference titles are available to access online exclusively through Oxford Reference. Each title is fully cross-searchable with over 300,000 free Overview pages, 275 free Timelines, and featured topical entries available on Oxford Reference providing you with a full research pathway.